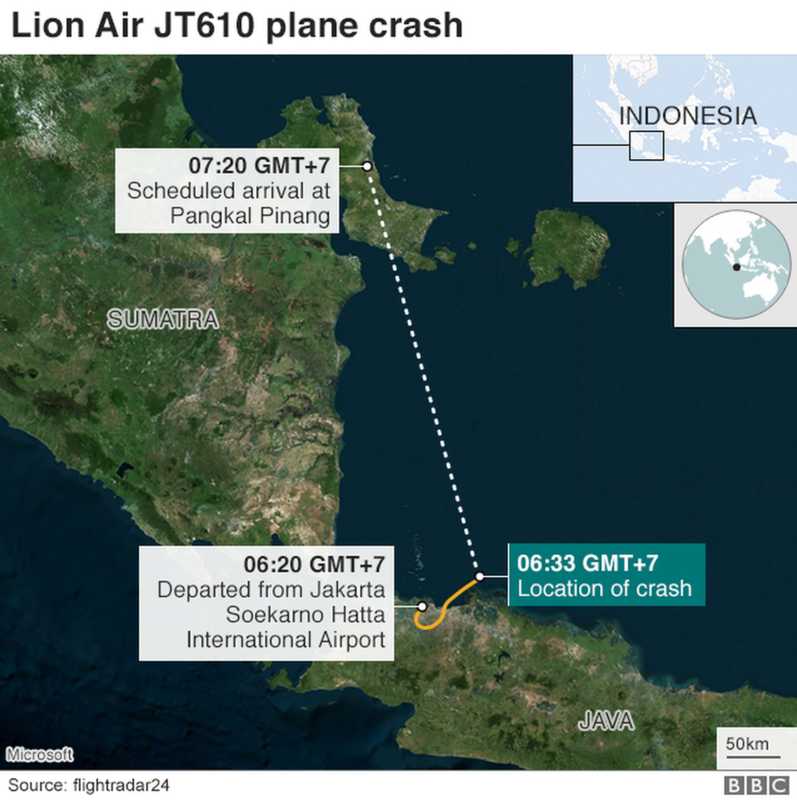 Lion Air’s chief executive said the flight had suffered from an unspecified “technical problem” in a previous flight, but that it had been “resolved according to procedure”, Reuters reports. Edward Sirait said Lion Air was currently operating 11 aircraft of the same model. He said there were no plans to ground the rest of the planes. 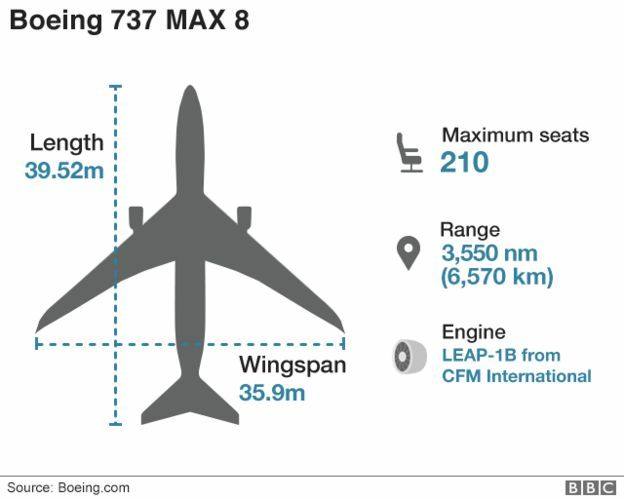 Aviation analyst Gerry Soejatman told the BBC that “very old aircraft are usually at the highest risk [of accidents], but very young aircraft also carry a high risk”. The plane would have hit the three month mark in just a few weeks. However, another aviation analyst, Jon Ostrower, said new planes generally “enjoy a maintenance holiday because everything is so new, not the reverse”. Mr Ostrower, editor of aviation publication The Air Current, said there were “always new teething issues… that’s common, but a far cry from something that would threaten the safety of an airplane”. Both analysts said it’s too early to draw definitive conclusions about what went wrong with Flight JT 610. “It’s likely to be technical issues that caused it but it’s still very early days. We can really [only determine the cause] when we get more information,” said Mr Soejatman. “I don’t know what would make a plane this new crash. There are so many different factors that can contribute to an accident like this,” he told the BBC. 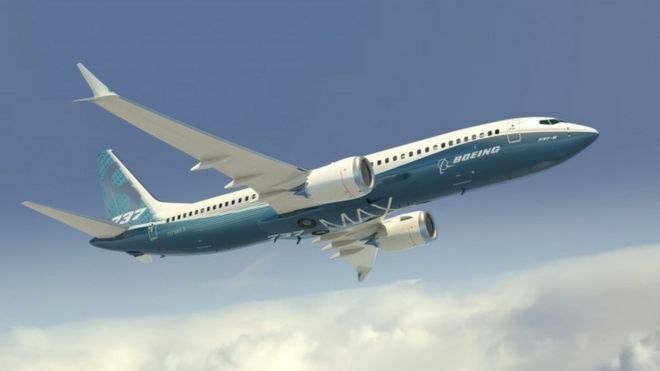 According to Boeing, the 737 MAX series is the fastest-selling airplane in its history, and has accumulated almost 4,700 orders.